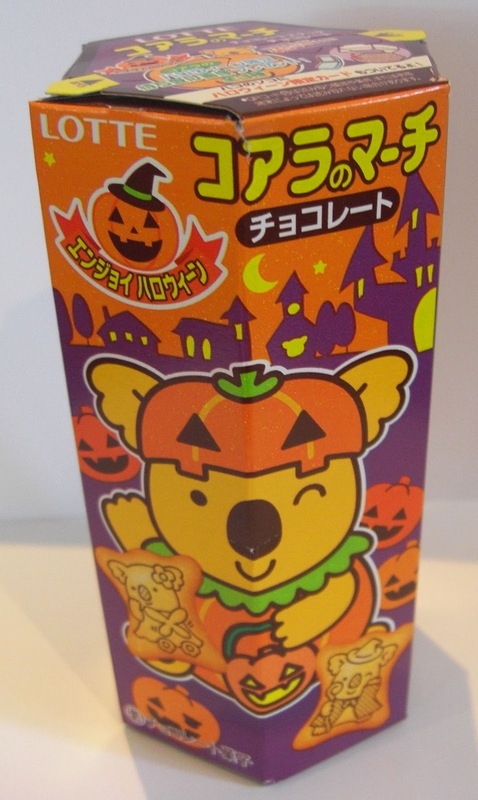 Koala’s March Chocolate is a bite size Japanese cookie snack with a sweet chocolate filling inside. Koala’s March (コアラのマーチKoara no Machi) is made by Lotte. 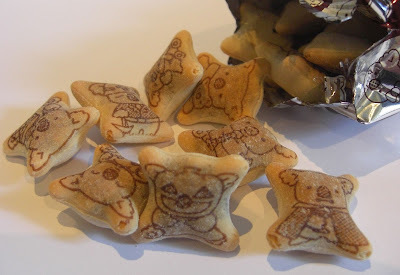 These cookies are so cute and each one is in the shape of a koala with a picture of a koala on the outside of the cookie. This edition is the special Halloween version of the cookie so it contains some koalas in Halloween costumes. 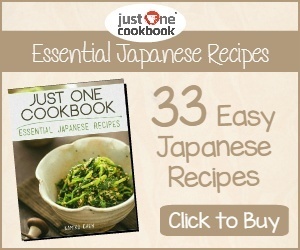 This includes classic Halloween costumes such as witches, wizards, vampires, fairies, and jack-o-lanterns.